The Blu Pro E-Cigarette Kit delivers fantastic quality vapour in an easy-to-use form factor. However, over time the included clearomiser will become worn out, so to ensure quality vapour it is recommended that it is replaced once every 10 refills. The Blu Pro E-Cigarette Clearomiser is a replacement clearomiser for the Blu Pro E-Cigarette. Designed for quality vapour production, it utilises an ergonomic mouthpiece and optimised coil resistance for consistent and great-tasting vapour. To help you get a smooth tasting vapour, the Blu Pro Clearomiser features an optimised coil resistance that works to deliver a purer-tasting vapour. An ergonomic mouthpiece enables vapour to be delivered more consistently for an even better taste. The Blu Pro Clearomiser is the largest clearomiser ever offered by Blu, extending the time between refills. And when you do come to refill your device, the top-filling design makes it quick and easy, and there's even a transparent window to help you see how much e-liquid you have left. Please note that this item does not include a battery or a USB charger. 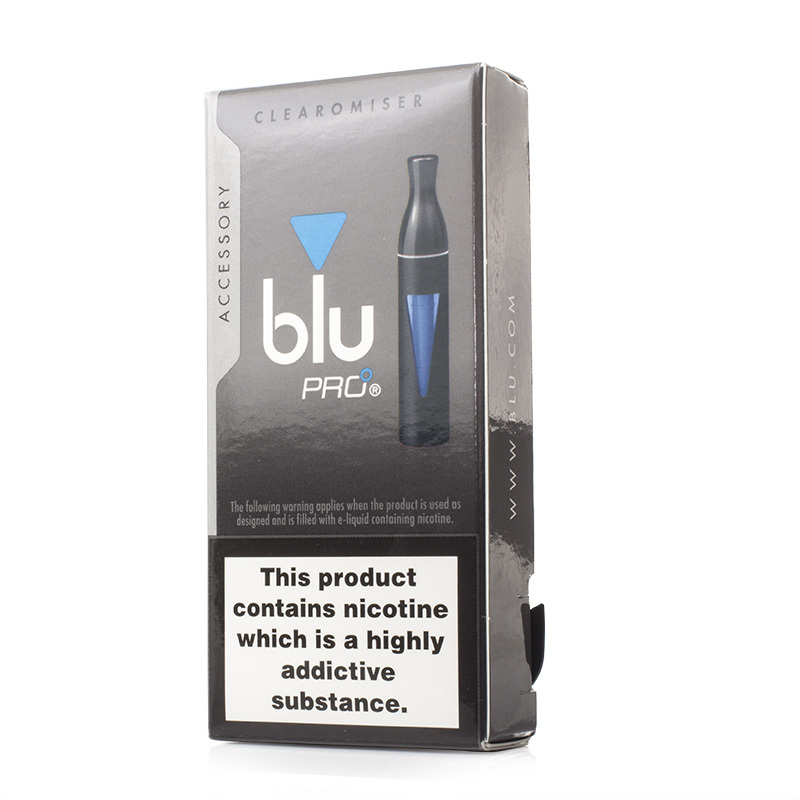 The Blu Pro E-Cigarette Clearomiser is compatible with the Blu Pro E-Cigarette only.